Now more than ever, it's essential to keep your data away from hackers, and in some cases even governments. The easiest way to ensure you're safe online is with Hide My IP, and a lifetime subscription is available for only $19.99. With Hide My IP, all it takes is the click of a button to encrypt your Internet connection on any of your devices and safely browse without worrying about hackers or government officials snooping on you. Your IP address can reveal a lot about you: from your physical location to your browsing habits. 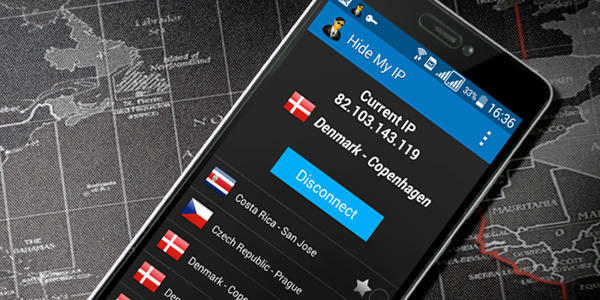 With Hide My IP, you'll essentially appear like you're someone else in an entirely different location. You can also choose between 110 server locations around the world, which allows for the added benefit of bypassing geographically blocked content. This comes in handy when trying to access your favorite streaming services abroad. Give yourself online peace of mind and freedom by grabbing a lifetime subscription to Hide My IP–available for over 90% off at just $19.99 for a limited time.